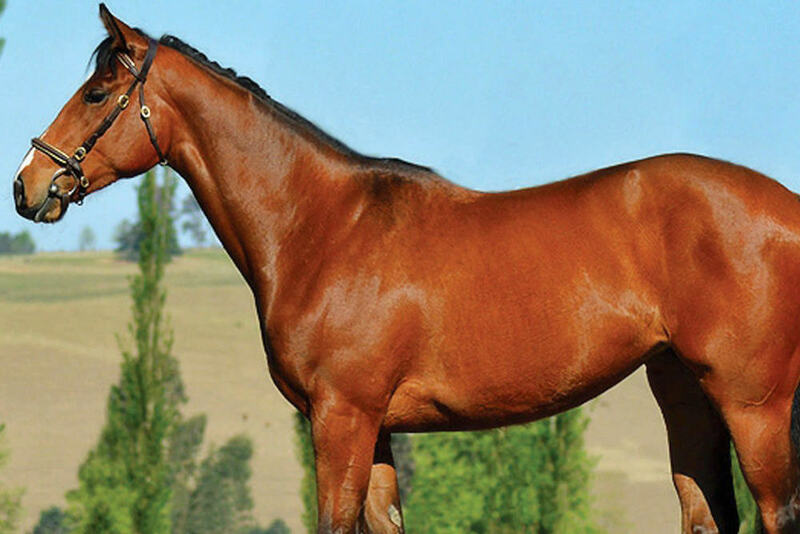 The best racing son of sire of sires Machiavellian in the world in 2007. Timeform rated 121lbs. Sire this season of Million Mile hero, Gitiano; the first ever Zimbabwe Triple Crown heroine, Casey's Dance, and big race performers, Mount Hillaby, Mr. Mulliner and Shingle Beach. A scopey, substantial horse with plenty of athleticism. He has plenty of quality and good forelegs. From top class family with looks to match. You can’t judge a book by it’s cover. VIKING HERO (09g, All Fired Up, Northfields). 6 wins at 1000m, 1200m to 2015-16, R708,350, Turffontein Lebelo Sprint, Gr.3, Tommy Hotspur H., Gr.3, Classic Day 28 March H., Book a Table H., 2d Turffontein Wishing You a Prosperous 2016 H., Vaal Racing Association H., Soccer GG H., 3d Turffontein Racing. It's a Rush H., Vaal Book a Table at Our Next Raceday H., Thank You for Your Patronage H.
CASEY'S DANCE (10f, National Assembly, Harry Hotspur). 5 wins from 1200m to 2000m to 2014-15, Zimbabwe Oaks, L, Borrowdale Sable Flyers, L, Silver Slipper, L, 3d Borrowdale Bloodstock South Africa 2000 H., L.
MERHABA (11c, Marju, Riverman). 3 wins from 1600m to 2400m in 2014-15, Borrowdale Bloodstock South Africa 2000 H., L, Zimbabwe Derby, L.
Mr Mulliner (10c, Northern Guest, Dahar). 3 wins from 1400m to 1600m to 2014-15, R374,425, Turffontein Book a Table H., Racing Association H., 2d Turffontein Tony Ruffel S., Gr.3, Racing. It's a Rush Graduation P., Book a Table H., Thank You for Joining Us Today H., Brooks Running Footwear and Apparel H., 3d Turffontein Next Race Meeting is Tuesday 01 Mar H., Sun Maslow Hotel Sandton H.
A Time to Kill (10c, Piaffer, Sea Cottage). 2 wins at 1600m, 1800m to 2014-15, R268,000, Kenilworth Civils 2000 H., 2d Durbanville Settlers Trophy, L, Play the Bipot H., Soccer 6 H., Kenilworth Book Your Table in the Somerset Room H., Soccer 6 H., 3d Kenilworth Itsarush.co.za H.
Shingle Beach (11f, Sahm, Rainbow Quest). Winner at 1600m in 2014-15, 3d Kenilworth Irridescence S., L.
Elegant Bay (09f, Joshua Dancer, Cox's Ridge). 4 wins from 1450m to 1800m to 2014-15, R213,525, Vaal Thank You for Your Patronage H., Soccer 6 H.
Caribbean Bay (10f, Northern Guest, The Eliminator). 5 wins at 1000m, 1200m to 2014-15, R324,275, Scottsville Soccer 13 Your Biggest Payday H., Soccer 6 H., 2d Scottsville All To Come Juvenile P., 3d Greyville Itsarush.co.za H.
Mount Hillaby (10c, National Assembly, Royal Prerogative). 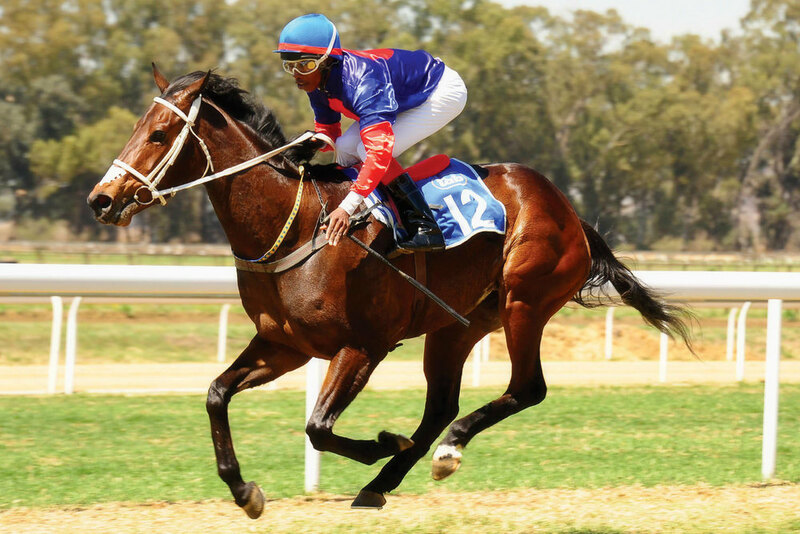 4 wins-1 at 2-to 1400m to 2015, R863,216, Vaal Racing Association H., 2d Turffontein Emperors Palace Ready to Run Cup, Vaal Soccer 6 H.
Oriental Blue (10c, Volksraad, Uncle Remus). 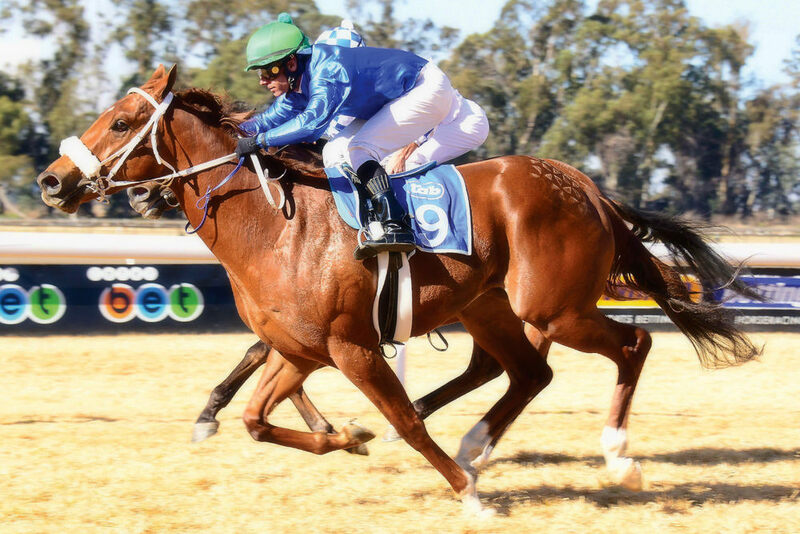 4 wins at 1600m, 2000m to 2015-16, R293,975, Vaal Soccer GG H., 2d Vaal Emerald Cup Raceday H., 3d Turffontein HST International H.
Golden Dynasty (09f, Jallad, Del Sarto). 4 wins from 1400m to 1800m to 2014-15, R340,425, Clairwood All to Come H., Fairview Lochhead White and Womersley H., 2d Clairwood Summerhill Stud 1600 H., Soccer 1 One Line Better Chances H., Soccer 4 H., Greyville Thank You for Your Support H., Scottsville Jackpot Quick Mix H., 3d Clairwood Sebastian's Pharmacy H., Greyville UMR 150th Jubilee H., Oyster Box H.
Bajan Fantasy (12f, Rambo Dancer, Lustra). 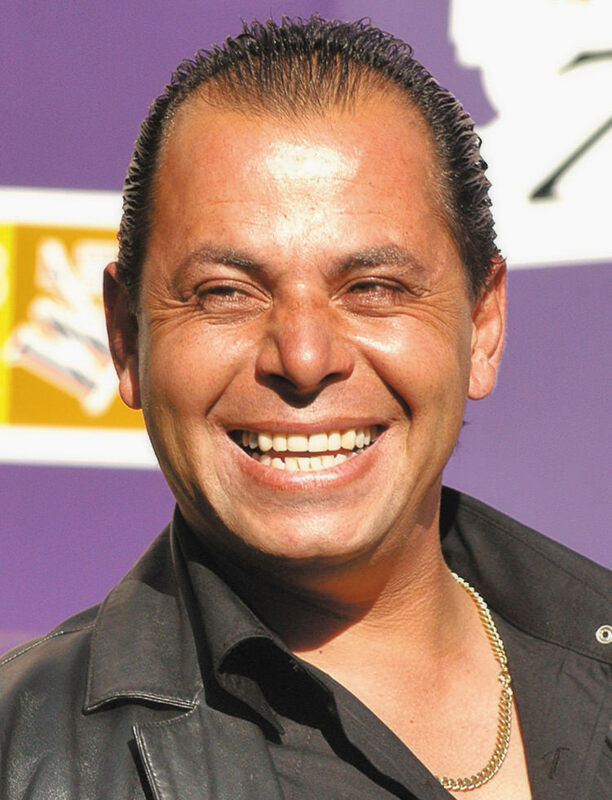 3 wins at 1600m in 2015-16, R189,850, Vaal Racing It's a Rush H.
Wukkin' Up (11f, Albarahin, Northern Guest). 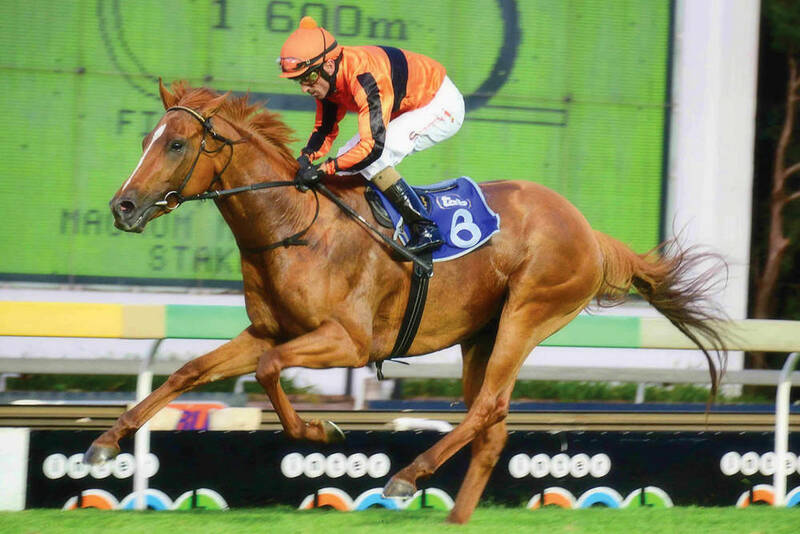 3 wins from 1200m to 1600m to 2015-16, R170,625, Turffontein Viking Projects Civil Construction H., Vaal Racing It's a Rush H.
China Beach (11f, Northern Guest, Royal Prerogative). 3 wins at 1400m, 1450m in 2014-15, R260,150, Turffontein Racing Association H., Vaal Computaform Express H., 3d Turffontein July Day in Jozi Juvenile P., The Sun International H., Book a Table H., Helm Construction H., Racing Association H.
Touching Base (10f, Iktamal, Northern Guest). 3 wins to 1450m to 2015-16, R156,566, Greyville Jackpot Quickmix H., 2d Clairwood Rugby 5 H., Scottsville Soccer 10 H., 3d Scottsville Jackpot Quickmix H.
Tinchy Stryder (09f, Model Man, Al Mufti). 3 wins to 1400m to 2014-15, R196,925, Turffontein Save the Date Sansui Summer Cup P., Vaal Rugby 5 H., 2d Clairwood Soccer 1 One Line Better Chances H., Turffontein Racing. It's a Rush H.
The Mutineer (09g, Iktamal, Northern Guest). 3 wins from 1200m to 1600m to 2015-16, R190,950, Vaal Soccer 13 H., 2d Turffontein Racing Association H., Vaal Soccer 6 H., 3d Vaal Computaform Express H., Wilgerbosdrift Triple Tiara Day H., Racing Association H., Soccer 6 H.
Croke Park (09c, Gallic League, Pampapaul). 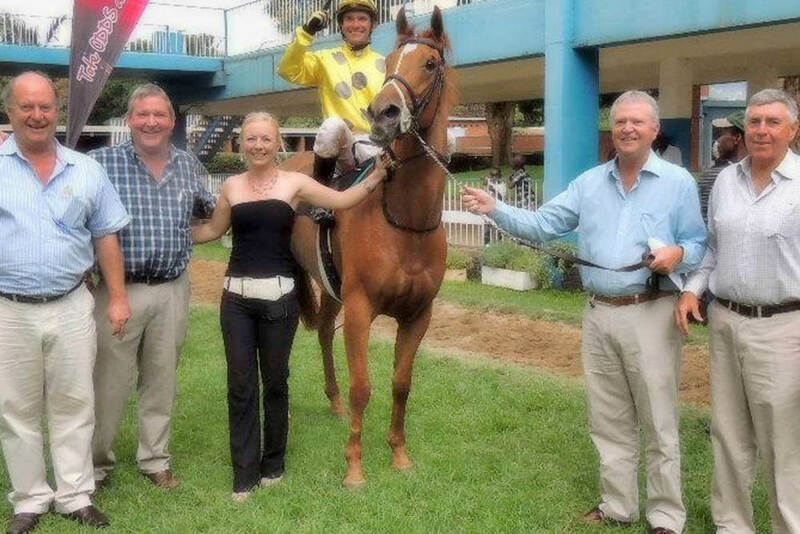 3 wins-1 at 2-at 1200m, 1600m to 2014-15, R225,525, Vaal Soccer 6 H., 3d Turffontein Weekend Show on Tellytrack H., Vaal Computaform Express H.
Chillingham (10g, Linney Head, Mount Hagen). 2 wins at 2400m in 2014-15, Scottsville Flowe-Pac H.
Sun Bay (09g, Sunny North, Sharpen Up). 2 wins at 1200m, 1400m, Scottsville Soccer 13 H., 2d Greyville Children First H., 3d Clairwood The Independent H.
Quad Bay (09g, Fahal, Ahmad). 2 wins at 1450m, R195,025, Turffontein Racing Association H., 3d Turffontein Safeway Tyres Supa Quick H.
La Tourelle (11c, Muhtafal, Northern Guest). 4 wins from 1400m to 1600m to 2015-16, R229,400, 3d Griqualand Kimberley Classic H.